Starr’s founder once said, “Beauty is a silent teacher.” Floyd Starr also maintained a strong interest in the arts, collecting a significant number of fine works, including paintings, sculptures and furniture, encouraging Starr’s students to explore their creative side. He knew how powerful creative expression and an appreciation of the arts could be in the development of a young person, and for decades this philosophy has played a significant role in the youth development models of Starr Commonwealth. The Art of Resilience Starr Summer Youth Festival celebrated the resilience of the people of Detroit. Overcoming challenges, building on your strengths, bouncing back from adversity, giving back to the community — this is resilience, another fundamental part of Starr’s positive youth development. So, what happens when you combine art and resilience? 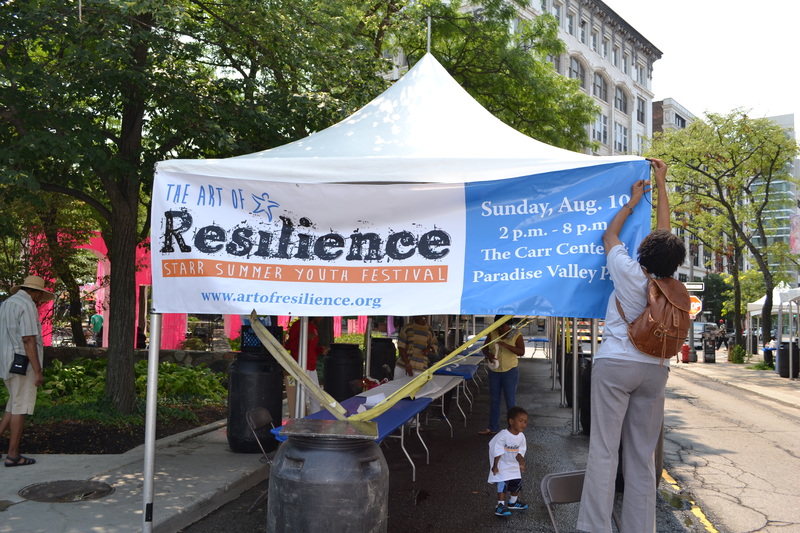 On Sunday, Aug. 10, Starr Commonwealth launched the Art of Resilience campaign with a major new event in Detroit called the Starr Summer Youth Festival, designed to celebrate the strengths and resilience of young people across the Detroit region. Approximately 300 young people from more than 40 different youth organizations sang, danced, acted, read their original writing or displayed visual art. Another 17 youth and cultural organizations provided information to help young people find new artistic and educational opportunities. Dr. Martin Mitchell, president and CEO of Starr Commonwealth, said: “We have long seen the impact of the arts in the development of our students, and we believe strongly in building on the resilience of each individual, as well as families and communities. The Art of Resilience project aims to celebrate examples and stories of resilience from young people and communities across metro Detroit, recognizing the importance of positive youth development and the role the arts can play in that. 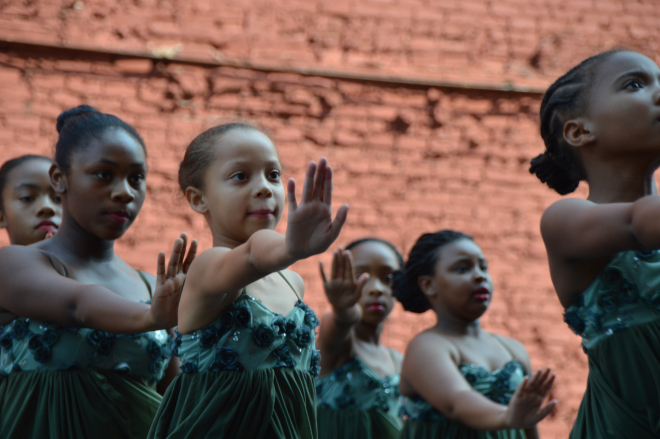 The Starr Summer Youth Festival included performances from local dance groups, musicians, spoken word poets and more. The festival attracted an audience of around 2,000 members of the Detroit community, with children and families enjoying performances on three stages over a period of six hours. Five hundred young people were provided with free, healthy meals as part of a program sponsored by Samaritan Homes. Marcus Belgrave (right) receiving his award from Starr president Marty Mitchell (center) and director of communications John Hollingsworth (left). 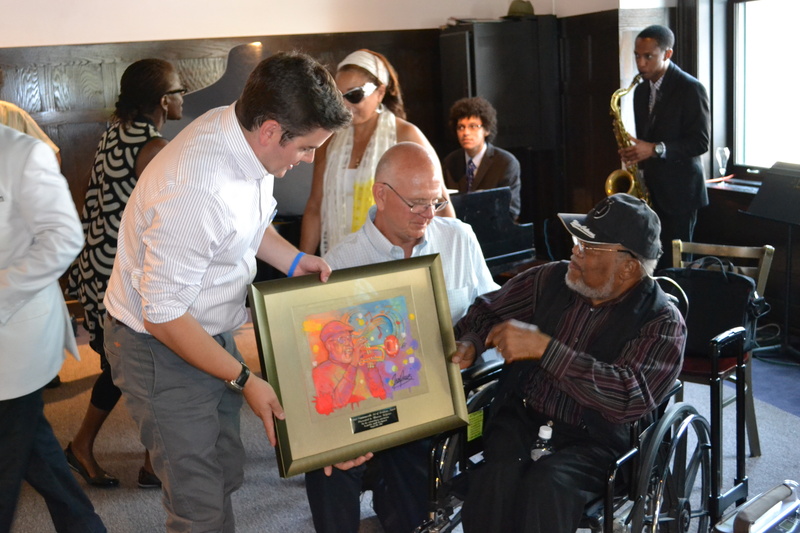 The event also honored jazz legend Marcus Belgrave with the new “Starr Commonwealth Art of Resilience Award” for his extraordinary contribution to not only the arts but positive youth development. Belgrave has mentored dozens of young people in Detroit and beyond, including highly acclaimed musicians such as Rodney Whitaker, Kenny Garrett, Robert Hurst, Regina Carter, James Carter, Geri Allen, Karriem Riggins and Carlos McKinney. The Art of Resilience project has received support from the Community Foundation of Southeast Michigan, the Knight Foundation and StarrVista. It is being driven by an advisory group comprised of the Carr Center, ARISE Detroit, City Connect Detroit, the City of Detroit, New Detroit, Starr Educational Services, and the Neighborhood Service Organization (NSO). For more pictures from the festival, check out our photo gallery. This entry was posted in Art of Resilience, Success in Detroit and tagged Art of Resilience, Detroit by Starr Commonwealth. Bookmark the permalink.